Bencana pengetahuan adalah lupa, maka tulislah. Membahas tentang segala macam yang berkaitan dengan teknologi maupun pemrograman. Pembahasan diluar teknologi dan pemerograman. Pada postingan sebelumnya saya telah memberikan ulasan mengenai cara menginstall Laravel, sekarang saya menuliskan cara instal Yii2. Yii sama halnya dengan Laravel yakni sebuah PHP Framework. Oke, saya tidak memberikan penjelasan menganai defini Yii di sini, karena fokus artikel ini adalah cara penginstalannya. Langsung saja kita mulai. 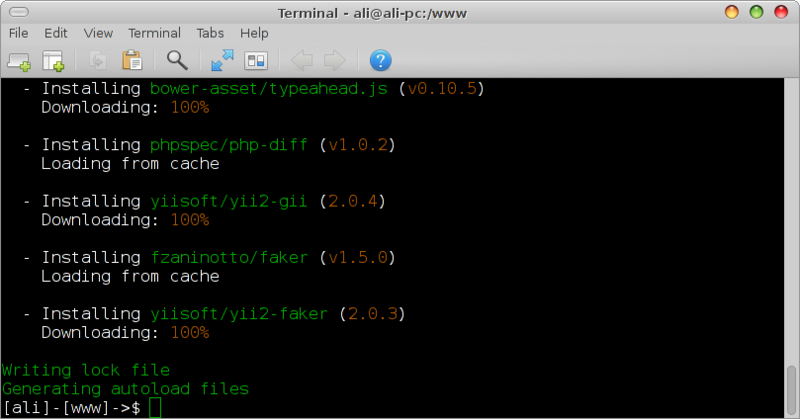 Buat Authentication pada Github (Menghilangkan Authentication Github pada Composer). 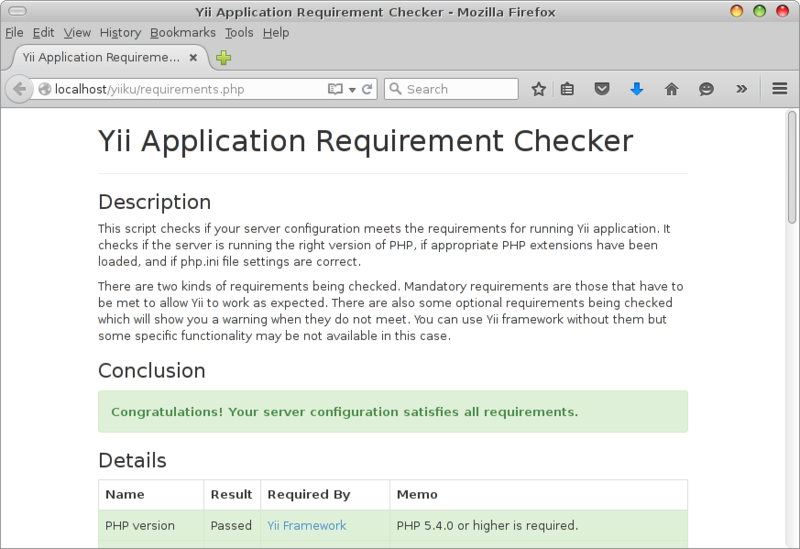 PHP version Passed Yii Framework PHP 5.4.0 or higher is required. MBString extension Passed Multibyte string processing Required for multibyte encoding string processing. OpenSSL extension Passed Security Component Required by encrypt and decrypt methods. Intl extension Passed Internationalization support PHP Intl extension 1.0.2 or higher is required when you want to use advanced parameters formatting in Yii::t(), non-latin languages with Inflector::slug(), IDN-feature of EmailValidator or UrlValidator or the yii\i18n\Formatter class. 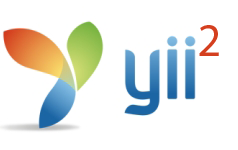 ICU version Passed Internationalization support ICU 49.0 or higher is required when you want to use # placeholder in plural rules (for example, plural in Formatter::asRelativeTime()) in the yii\i18n\Formatter class. Your current ICU version is 55.1. Fileinfo extension Passed File Information Required for files upload to detect correct file mime-types. DOM extension Passed Document Object Model Required for REST API to send XML responses via yii\web\XmlResponseFormatter. PDO SQLite extension Passed All DB-related classes Required for SQLite database. PDO MySQL extension Passed All DB-related classes Required for MySQL database. PDO PostgreSQL extension Passed All DB-related classes Required for PostgreSQL database. GD PHP extension with FreeType support Passed Captcha Either GD PHP extension with FreeType support or ImageMagick PHP extension with PNG support is required for image CAPTCHA. ImageMagick PHP extension with PNG support Passed Captcha Either GD PHP extension with FreeType support or ImageMagick PHP extension with PNG support is required for image CAPTCHA.